I don’t know about you guys but I was really into the Archie comics as a kid. It didn’t matter what order you read them in, the digests were really cheap and you could always count on Reggie to be a total jerk. 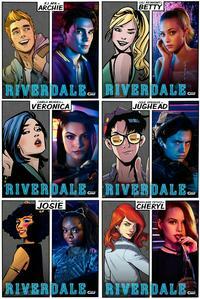 I was pretty happy to see Archie and the gang making a pop culture come back with Riverdale the television show. it’s a little darker than the malt shop kind of town I was used to but hey, it’s got one of the Sprouse twins and that’s always fun. Always. The wait for the newest season is finally over with the premiere slated for tonite, October 10! In the meantime, we have a BUNCH of graphic novels and comics coming out of this most current reboot. It’s an embarrassment of riches, really. First up is the series Road to Riverdale, which is really just a prequel to everything that happened on the first season of the show. If you’ve never had the pleasure of reading the 1980s digests, it’s a great starting place. Plus, Volume 1 also has the first issues of the adventures of Archie, Betty & Veronica, Jughead and even Josie and the Pussycats! Its a great introduction to the rebooted comics with very little commitment or investment. HOWEVER, if you do like the rebooted comics we have a bunch of those in trade paperback, collecting the single issues of the various comic series. America’s Favorite Teenager, Archie Andrews, is reborn in the pages of this must-have graphic novel collecting the first six issues of the comic book series that everyone is talking about. Meet Riverdale High teen Archie, his oddball, food-loving best friend Jughead, girl-next-door Betty, and well-to-do snob Veronica Lodge, as they embark on a modern reimagining of the beloved Archie world. It’s all here: the love triangle, friendship, humor, charm, and lots of fun – but with a decidedly modern twist. It's Betty vs. Veronica! Betty and Veronica are America's sweethearts... until they turn on each other! Pop's Chocklit Shoppe is being taken over by a huge coffee company. When Betty and Veronica go head-to-head over the issue, all bets are off! Friendships will shatter, cities will burn and nails will be broken as Betty and Veronica declare all-out war on each other! The streets of Riverdale run red under the rockets' red glare and no one will ever be the same! Riverdale High prides itself on providing a quality education. But to Jughead Jones, what matters most is meal time – and Riverdale delivers solid midday chow. But when that sacred time is tampered with by a hot-headed new principal, Jughead swears vengeance! Can the burger-loving beanpole curry enough favor (see what we did there?) to rollback the cuisine catastrophe? 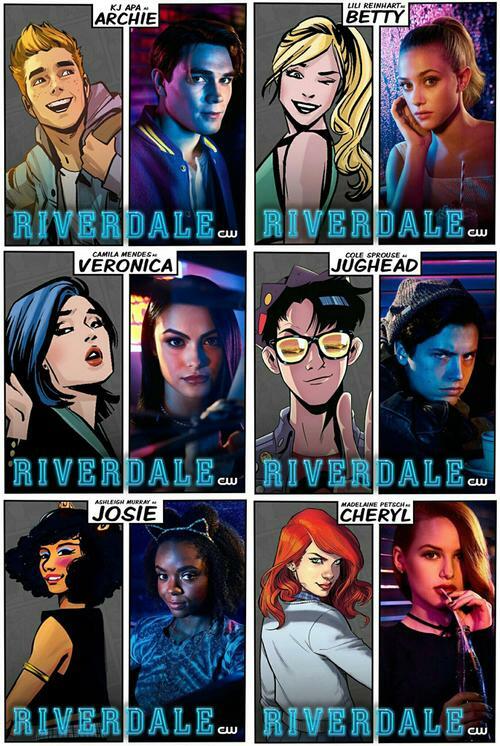 So hang in there kids, Riverdale will be back tonite! Did I miss any of your favorite Archie comics? Let me know in the comments! Add a Comment to What to Read While You Wait for New Episodes of Riverdale!